With Golden Compound Gaskets and Brass Friction Rings. The 502 Universal PerforMAX High Performance Toilet Flapper for 2 in. flush valves works best in toilets with 1.28 - 3.5 Gal. per flush or higher. The 502 is adjustable for optimum performance and water savings, is chlorine resistant, and has a solid frame for ultimate reliability. Flappers with a solid frame do not twist and provide the best seal. Replace or fix your toilet flapper with a Fluidmaster toilet flapper. The Korky Plus flapper is made from a premium red rubber that resists chlorine and toilet tank cleaners. 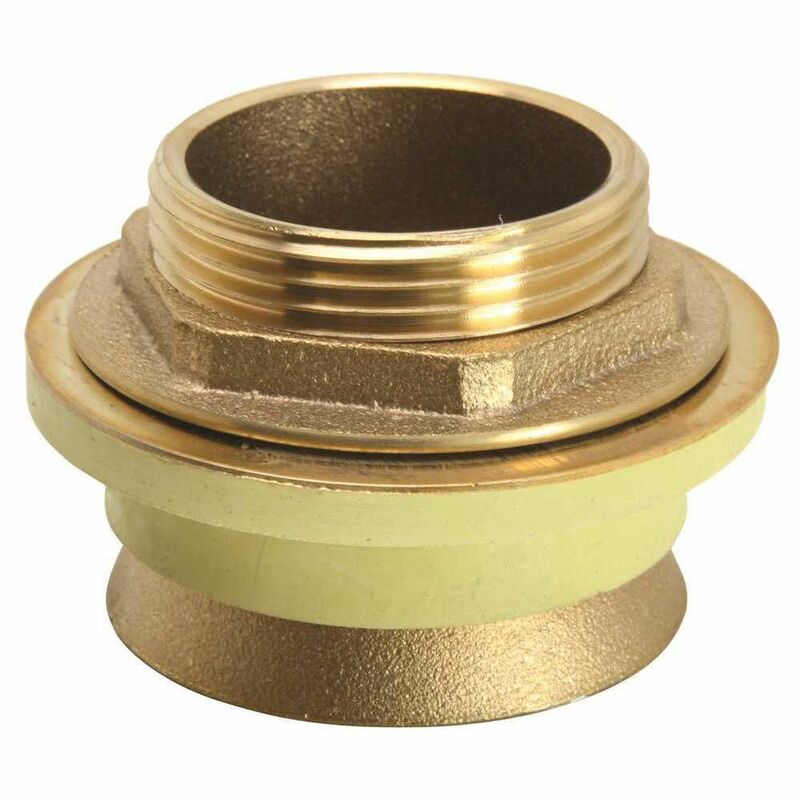 Its universal design fits brass and plastic flush valves.^^It also has a stainless steel chain for strength and chemical resistance. Backing its durability is a five-year warranty. Brass Spud Complete, #2, 1-1/2 inch X 1-1/2 inch With Golden Compound Gaskets and Brass Friction Rings.